Venice is a bizarre place, there’s really nothing quite like it and I would struggle to compare it to anywhere else I have ever been. 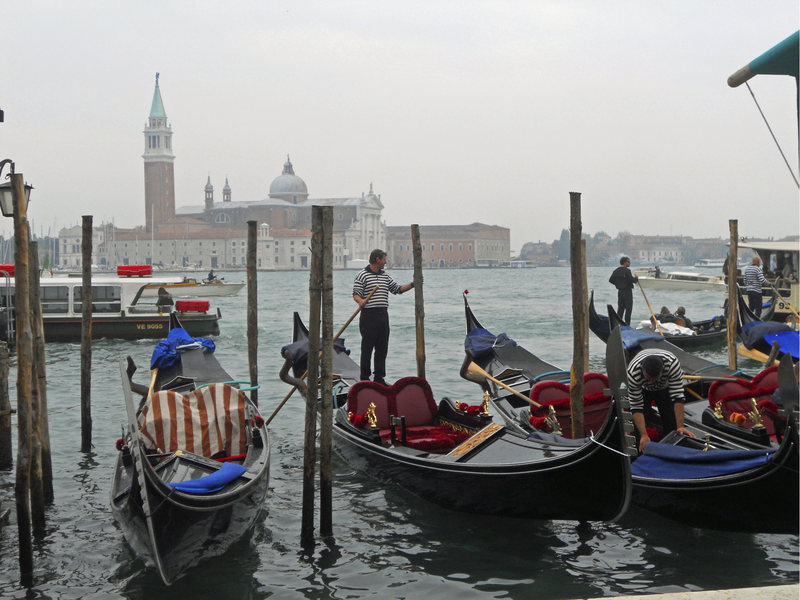 The first and fairly immediate dose of weird is having to get on a boat to go anywhere, and it was with abject puzzlement that I got onto a a little ferry, ‘vaporetto’ straight out of the train station. I mean, I knew that Venice was built on the water, but never having encountered this sort of set up before it felt quite strange. 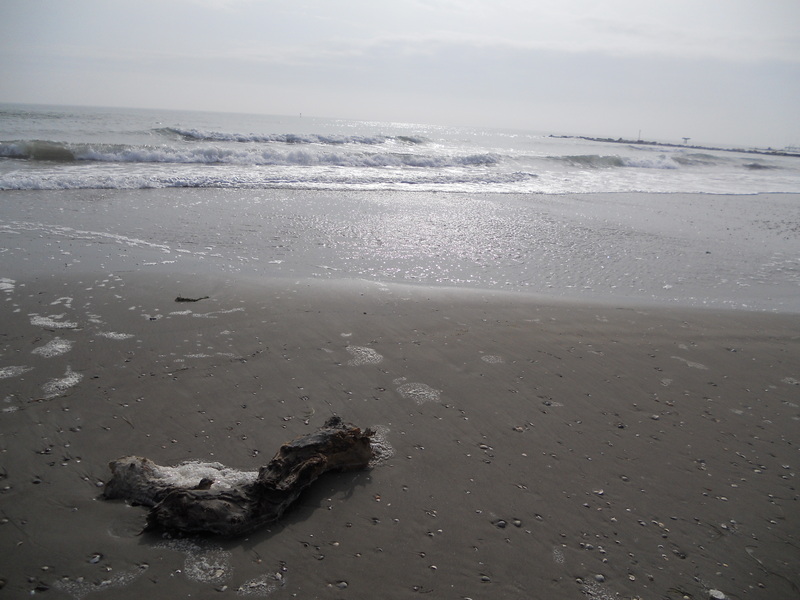 Since the island of Venice itself is hellishly expensive and requires some serious advanced booking at all times (there is no off season here) we opted to stay on the little resort island of Lido. This suited us fairly well since it had a beach that stretched the length of the island and the weather was still good enough that this was a soothing place to walk along and nurse our Bellini hangovers. Lido was actually an excellent little find which I would recommend as a holiday spot in its own right. During the summer season it attracts 30,000 holiday makers and the entire island is catered to this summer trade with holiday homes and hotels making up the majority of the islands real estate. As it was, the army of little beach huts had been long locked up by our arrival and the place was looking a little desolate. The recession also seems to have got its hooks into the industry here, Venice might never be short of a wealthy visitor but Lido was supporting more than one derelict hotel. Sad times. I would love to holiday here in the summer though. When we did venture onto the main island we were greeted with a great mish-mash of architectural styles. Venice is famous for this mix, a place where east meets west. The influence of the renaissance is here of course, and Santa Maria dei Miracoli was probably my favourite amongst the the many churches I saw. Just like the duomo in Florence the coloured marble cladding incredibly bright. 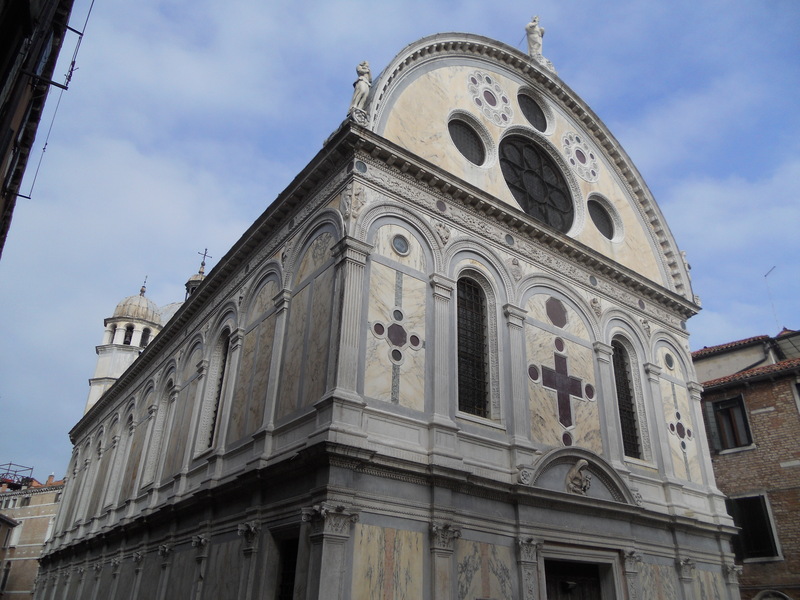 I have to say that I found Saint Mark’s Basilica (Venice’s most famous church, next to the Doge’s Palace in Piazza San Marco) to be absolutely hideous. Again, this is another example of how words and photographs are a poor substitute for reality because I had always assumed that Saint Mark’s was probably rather beautiful. Perhaps its individual elements are, I guess, but together it’s a bit of a nightmare. It’s a patchwork vomit of numerous architectural styles which have been piled on over the years in an uncountable number of alterations and additions. Mark Twain aptly described it as, “a vast warty bug taking a meditative walk”. Saint Mark’s is like an embodiment of Venice’s achievements in the wider world, an architectural trophy cabinet of precious objects and materials traded, pillaged and plundered from abroad. The Doge’s Palace which sits right next to the Basilica looks charmingly ordered and beautifully articulate in comparison. 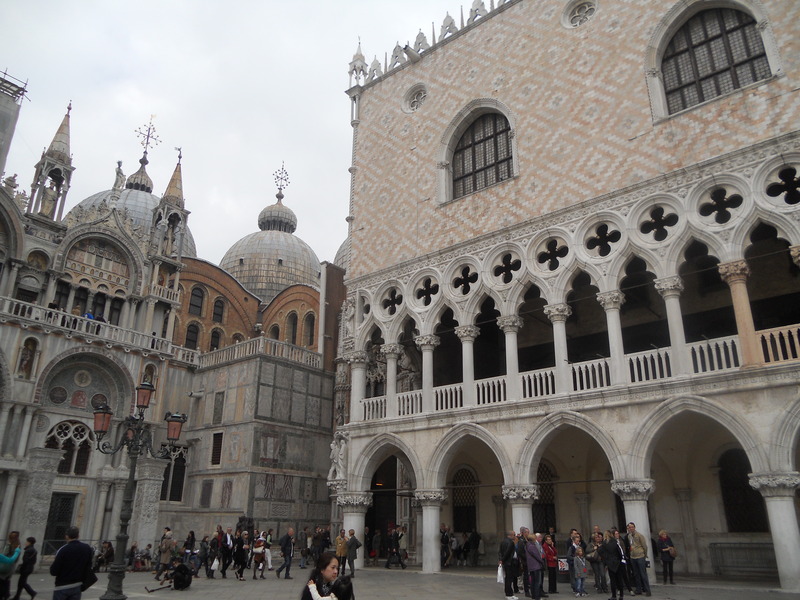 What can be seen in so many Venetian buildings though is evidence of Venetian wealth and prosperity as one or the trading gateways to the east. You can see the byzantine/ottoman influence at work in both of the buildings below. Wandering away from the crowds down the labyrinthine backstreets away from Piazzo San Marco brings you to an altogether different Venice. The streets are narrow and buildings are crooked, leaning drunkenly into each other or over the narrow waterways. 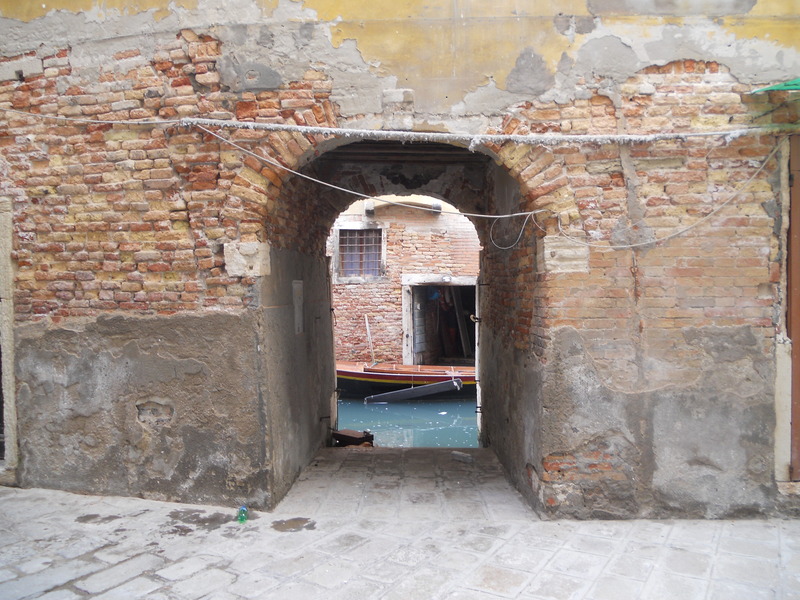 In these crumbling backstreets it is easy to imagine the Venice of different era, a medieval town wracked by plague*, the prosperous merchant town of Marco Polo, the playground of Casanova. Centuries unchanged, history is found in every crevice in Venice (note the beautiful colours, Venice might be sinking but it’s colour palate is very much alive). 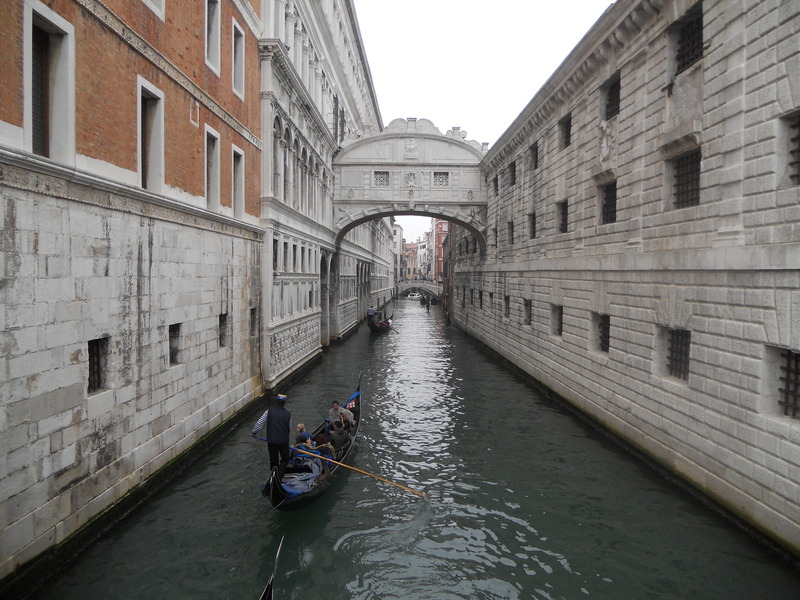 The Bridge of Sighs, which links the Doge’s Palace with the prison in which Casanova was incarcerated. Our trip ended rather unfortunately with a bout of mutual food poisoning (can’t win em all, and ironically this wasn’t the fault of the famous Venetian seafood), but Venice will stay in our hearts I’m sure. If you haven’t been then I’d definitely bump it up the list, but personally I think it will a quite while before Venice succumbs to an inevitable watery grave. *A quick endnote on the plague in Venice. If you have a morbid imagination like me then you would probably be interested in this article about Poveglia, an abandoned and supposedly haunted island near Venice. Poveglia was used to quarantine incoming merchants as well as plague victims, and later housed a mental hospital in the twentieth century. Rumour has it that you won’t find a boat that will take you out there as the island is considered unsafe for visitors. So after not having the best start to my week in Florence I did eventually get to see the mind blowing art and architecture that I was there for. My one real regret for the week was that I hadn’t had the money to be able to visit this city sooner when I was a History of Art and Architecture student; I definitely would have had a renewed vigour for my studies! 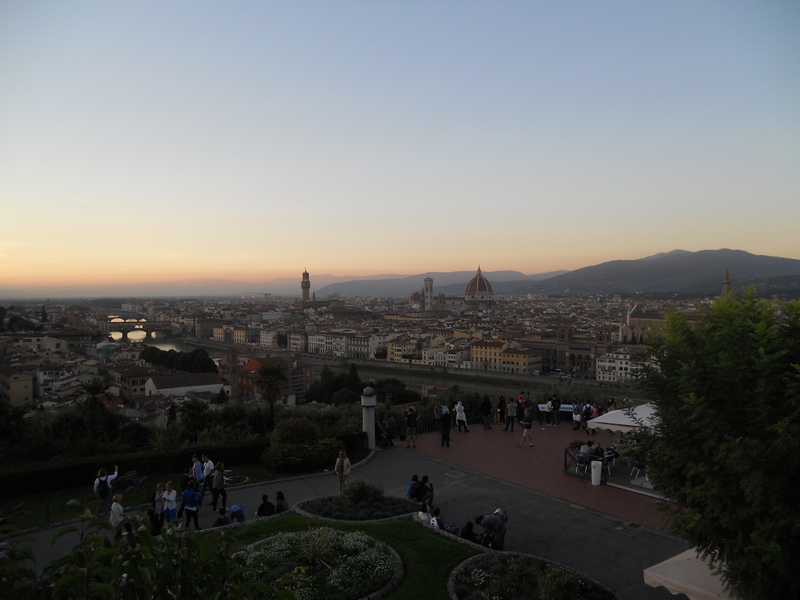 I was astounded by just how many buildings that I had studied that were gathered together in such a small space, from the Uffizi to Palazzo Vecchio, the Medici Riccadi, Palazzo Pitti, Santa Croce and countless others. I was in architectural bliss. 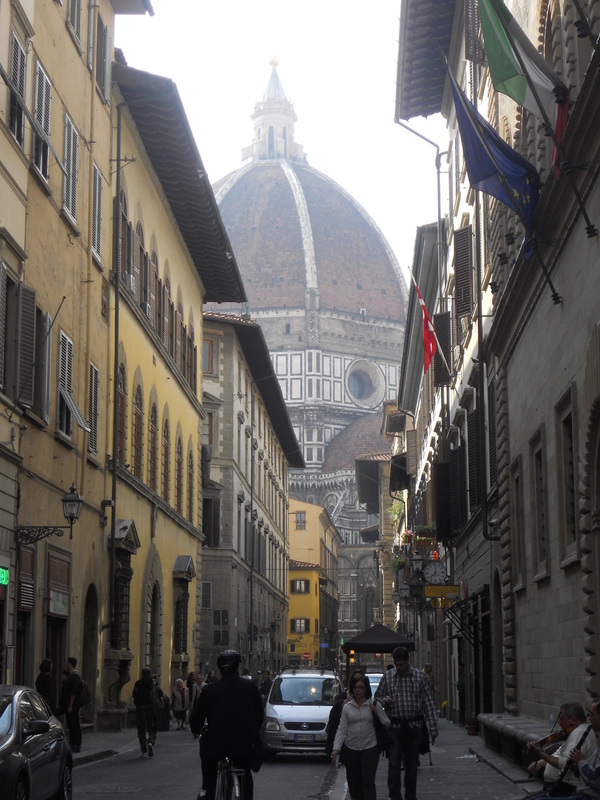 For me the absolute stand out architectural piece was the obvious one; the duomo. When I first saw this building, making slow progress towards it down a narrow Florentine street, I was totally unprepared by what I was about to encounter. I spent an entire year studying Renaissance (re:90%Florentine) architecture, but obviously no amount of reading, lectures or tutorials managed to convey the majesty of this building. I just could.not.believe.it. The marble cladding is just so bright and beautiful, it’s incredible. I don’t think I’ve ever had such a strong reaction to a building, or at least not in my recent travels. I reckon it’s probably a contender for the most beautiful building I have ever seen. In my head I was comparing it to Notre Dame in Paris because Notre Dame (1160-1345 w/later alterations) is also a city centre cathedral, but of a very different type. Every time I see Notre Dame I think about how it must have looked to medieval peasants when it was first constructed. It is a magnificent building now, but a person alive back then it must have looked like something that came from heaven; truly a house of God. I think if I had been alive back then I would have gone to church just to bask in the architectural glory alone, and in Florence this idea is still very tempting in 2013.